The first setp in applying for a VA Home Loan is to select an experienced VA approved lender. Your lender will assist you with the entire process from obtaining your Certificate of Eligibility, pre-qualifying, reviewing your credit score and history, determining what you can afford, the appraisal and finalizing your VA Home Loan. 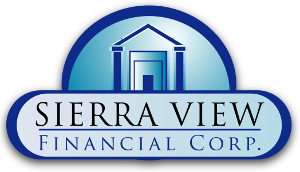 Clayton Price at Sierra View Financial Corporation is ready to get started on your VA Home Loan application today. Together, Clayton and Tamara will help you find the perfect home and mortgage loan that's right for you. Call today!